Monument to the drowned ships in Sevastopol. 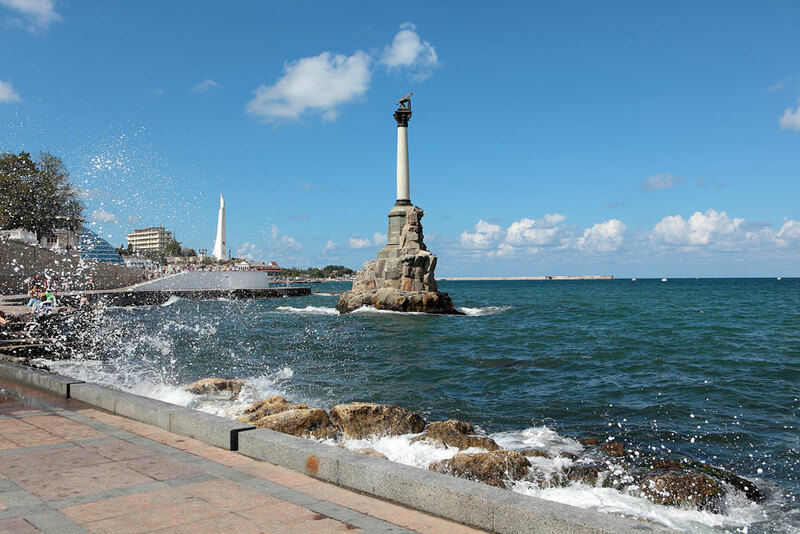 Some six million tourists may come to Crimea on vacation in 2016, Georgy Muradov, deputy chairman of the Council of Ministers of the Republic of Crimea, said on June 7. "Crimea will be ready to take more tourists in 2016 than it did last year, we expect five and a half to six million guests," Muradov said during a televised linkup connecting Moscow and Crimea entitled 'Readiness of Crimea to Take Tourists'. He said Crimean resorts were visited by some 4.6 million tourists last year. Muradov said the hotels and sanatoriums of the peninsula can take some 180,000 guests at a time. The prices in sanatoriums will be 2,500-3,000 rubles ($40-$60) per person a day, including food and treatment. Muradov said that some 1.7 billion rubles ($26.6 million) will be used in 2016 for developing tourist and recreation clusters in Crimea under a federal target program. According to earlier reports, over 160,000 tourists visited Crimea during the May holidays. The most popular types of tourism were cultural-educational, pedestrian and children's tourism. The most popular resort regions were Bolshaya Yalta (44 percent of all tourists), Yevpatoria (25 percent), Alushta (14 percent), Saki (8 percent) and the Sudak and Feodosia regions (4 percent each).